The Jerusalem Post reports on last night’s Hollywood bash for Israel. 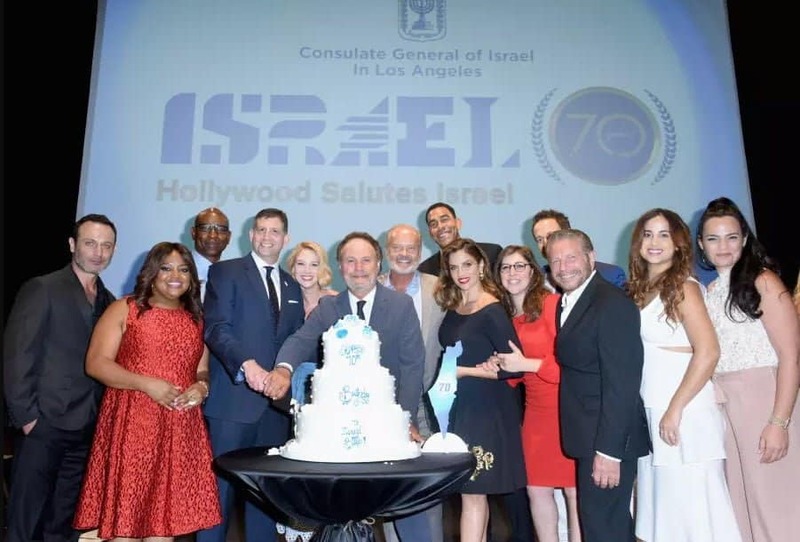 If you’re the Consul General of Israel in Los Angeles and you want to celebrate Israel’s 70th anniversary with a big Hollywood-style bash and call it “Hollywood Salutes Israel,” then you’re going to have to pull out all the stops and reel in some big names. On June 10, that’s exactly what Consul General Sam Grundwerg did – at a private VIP reception for 700 guests at Universal Studios in Hollywood. Along with congratulatory video messages from Barbra Streisand, Robert de Niro, Michael Douglas, Bill Maher, Gal Gadot, Los Angeles Mayor Eric Garcetti and Prime Minister Benjamin Netanyahu, there was also some serious Hollywood wattage on stage, including Kelsey Grammar, Mayim Bialik, Metta World Peace and Billy Crystal. Here is video from the event, including Billy Crystal’s funny routine.